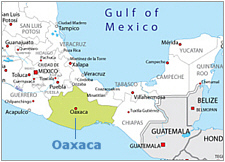 Oaxaca has the largest concentration of unreached people groups in the Western Hemisphere. Therefore, we invite short-term mission teams to join us in planting churches in areas where there exist few or no “born again” Christians and where there is no evangelical church. A side effect of being part of a short-term mission team is the vast investment you are making in your spiritual growth. What type of projects can a short-term trip be involved in? The teams that help come to Oaxaca do a number of things. Some are involved in medical outreaches such as general medicine, dentistry or optometry. Others are involved in construction projects such a building a small house, laying a concrete slab, painting a city hall or a school. Generally youth groups minister at public schools via drama, work projects, teaching English, or sports. Other teams come to do “prayer walks” (this is a technical term- it means praying while you walk) or pray for the sick. We try to customize each short-term team to fit their strengths plus meet the needs of the villages we will be working in. Team members should be “born again” Christians, who maintain a good testimony and who regularly attend a Bible based church. Who usually makes up the members of a Team? We’ve hosted a variety of short-term teams. The majority are people from one church- they may be adults, a youth group, a college age group or a mixture. Some come representing a focused ministry such as the Fellowship of Christian Optometrists. You may have unique idea for a short term team-we’d love to hear from you. We have had people in their 80’s do quite well in Oaxaca. Keep in mind we are at 5,100 feet above sea level and many times travel to even higher altitudes. There are no age restrictions for children accompanied by their parents. However, when the parents don’t come, kids need to be at least 15 to be part of a short-term missions team. Do I need to speak Spanish to come? No you don’t. In fact most people that visit us know little or no Spanish. 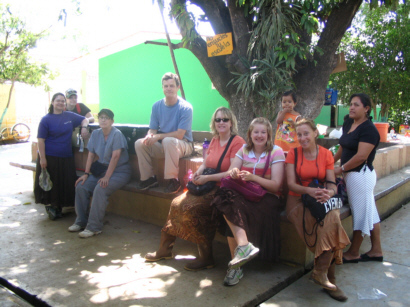 Our Oaxaca team will provide translators for you. However, if you know some Spanish- that will be a big help! Are there any special skills needed? No special skills are required. We do ask that you come with the attitude to serve others and not to be served. What are the costs while in Oaxaca? If your team will be involved in some type of medical or construction outreach there most likely will be additional costs. Please contact us or your team leader about these costs. How are the living conditions? A few of our teams go out from our Oaxaca city base the entire time and have “all the comforts of home” such as hot water and a bunk bed. However, most teams spend one to four nights in an indigenous village. Travel to the villages can range from one hour up to eight hours. There, we sleep on air mattresses or cots, use their bathroom facilities (the toilet may simply be a hole in the ground and you would take a “bucket shower” if available.) We may also be served a meal by our host family. What is a Bucket Shower? A bucket is filled with water (may or may not be hot); one wets their body down, soaps off and then rinses off. Trust us; it’s better than not bathing at all! Our weather is comparable to that of Southern California. Pretty much perfect. It’s never extremely hot or very cold here. Most of the time its T-shirt weather and it reaches around 80F/25oC during the day and can get down to 50F/10oC at night. However, when we travel to higher altitudes it can get colder and at lower altitudes the heat and humidity rise. The city of Oaxaca lies at almost a mile high and we may travel to villages that are as high as 9,000 feet above sea level. Oaxaca state is the most mountainous state in Mexico. There’s not a lot of flat ground here. If you like mountains, you’ll love Oaxaca! Some people take a day or two to acclimate to our altitude. Special rules while on the trip. For the sake of our Christian testimony we ask that while you are here you refrain from all alcohol and tobacco use (of course no drug use is tolerated) plus for singles, we ask that there be no dating. Oaxaca is famous for its distinct gastronomy. Some foods you’ll recognize such as quesadillas, tostados and enchiladas. However, most of our food is not like what you’d order at your local Mexican restaurant. Oaxaca is known for its eight types of “mole” which is a tasty sauce made from about 30 ingredients which may include chocolate. Plus our tamales are not always wrapped in a corn husk. Sometimes they are wrapped in a green banana leaf! While here you’ll get to try many new, tasty, gourmet foods. Normally we have a trained Oaxacan cook to prepare healthy and delicious meals. What about sightseeing and tourism? Generally we set aside the next to last day as our “tourist day.” We guide you to some of our best places to shop as well as sight see. Oaxaca is known for its crafts such as black pottery, hand woven wool rugs and hand carved wooden figures. Our main tourist sights are the Zocalo (the quaint downtown square), Monte Alban (ancient Indian ruins) plus possible visits to indigenous towns that specialize in one craft. Can I us foreign currency while in Mexico? How do I get Pesos while in Oaxaca? The easiest way to obtain pesos is to bring your foreign ATM card with you and make an ATM cash withdrawal at Oaxaca’s many ATMs. The machine will give you Mexican pesos and not dollars. Most foreign ATM cards will work in Oaxaca. Be sure and let your bank know that you will be traveling to Mexico with the intent to use your ATM/Debit card. If you fly through the Mexico City airport you may exchange dollars for pesos during your layover to Oaxaca. Do we Drive or Fly to Oaxaca? If you are coming from the States, Oaxaca is a long drive from the Texas border. (In fact it’s about 20 hours from Laredo, Texas.) We encourage teams to fly to Oaxaca. There are convenient direct flights from Houston and many connecting flights through Mexico City. Yes, you can include your children. You might want to bring some of their favorite snacks. As of January 1, 2007 the U.S. government requires its citizens to have a passport in order to enter the U.S. from another country. If you are travelling to Mexico through the United States of America (USA), including transiting in Honolulu or other USA points of entry, you must meet USA entry/transit requirements. You should check your visa needs well in advance of travel with the nearest US Embassy or Consulate. See also our travel advice for the USA. What is your doctrinal statement? Our mission’s sending agency is Commission to Every Nation (CTEN) whose headquarters are in Kerrville, Texas. 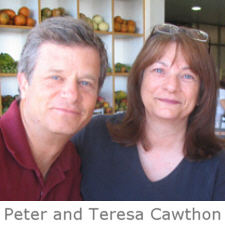 It is an evangelical, non-denominational organization with 115 active families in 33 countries. This is the organization that nurtures us and to whom we are accountable. In fact, a mission’s pastor from CTEN visits us once a year. What size group can we bring? We have hosted teams of as small as two people up to 26 people. What are the living accommodations like? The dorms are located in the large backyard of our base house in Oaxaca city. There are men’s and women’s dorms with bunk beds, storage areas and a reading light. There are three bathrooms and two showers. The relaxing, grassy back yard features comfortable hammocks and a variety of fruit trees.